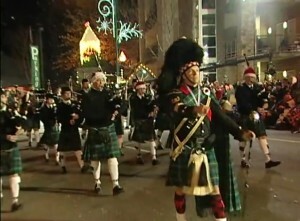 Christmas is coming and Gatlinburg proves it tonight with its 38th Annual Fantasy of Lights Christmas Parade. Over 100 entries including marching bands from neighboring states will take part in the extravaganza, watched by around 80,000 people packed up and down Parkway. The parade starts at 7:30 pm at traffic light #1A at the north end of town on Hwy 321 and ends at light #10 on the south end about an hour and a half later. Parking is available at the city’s garages at traffic light #3 and also at Ripley’s Aquarium at light #5. The Gatlinburg Christmas Parade is as spectacular and larger-than-life as every Gatlinburg event, getting bigger and better each year. Last year we saw huge helium-balloon animals and this year promises more of the same. 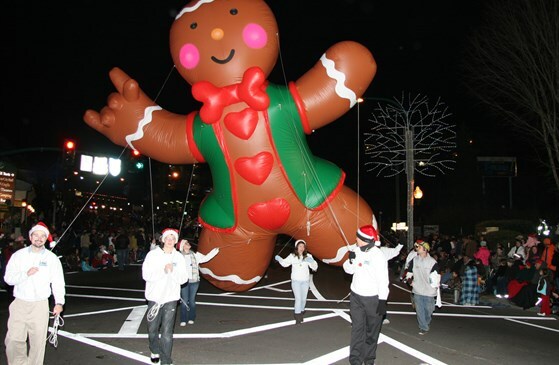 The fabulous lights of Gatlinburg are reason enough to be on the streets any evening in winter-lights season, and with brightly lit and tinseled Christmas floats passing by amid a host of cheering bystanders, what more excuse does anyone need?